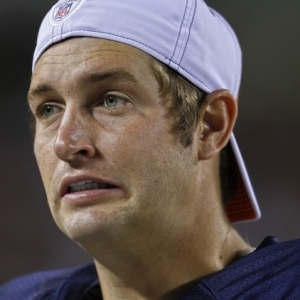 I’ve heard over and over again about how Jay Cutler‘s statistics from last year are better than fans give him credit for. The Bears had the 16th best overall passer rating of any team in the league. Not too bad you say? Let’s take a closer look, shall we? Cutler padded those stats with the third most yards of all NFL quarterbacks from screen passes. And where did “Mr. Clutch” rate in the fourth quarter only? The Bears were 26th. And that’s even after padding the stats in the second half of blowout losses to the Packers and the Patriots. From Steve Palazzolo at profootballfocus.com and from sportingcharts.com. If you are going to use statistics to defend your argument, I’d suggest that you at least take a deep dive. Even then, I’d say that if the number doesn’t pass the eye test, trust your eyes. They do a lot better job of drawing conclusions from complex situations than a one dimensional number ever will.